We at K.S. ENTERPRISES Faridabad INDIA having rich experience in repairing of all types & brands/ make vacuum Pumps, Hydraulic Pumps, Oil Pumps for Industrial Applications. 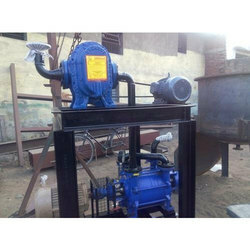 We provide satisfactory repairs & undertake all machinery repairs & maintenence service jobs. 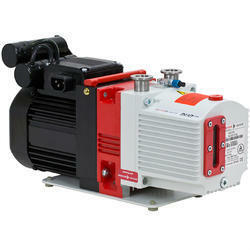 To satisfy our customer in a highly effective manner, we bring forth a commendable array of Vacuum Pump AMC Services. Our highly experienced workers use only best quality tools to render these services as per the defined industry norms and standards. We are offering these services as per the requirement of our clients at very nominal prices. Acknowledged as a leading business name, we are thoroughly betrothed in the arena of presenting Vacuum Pumps Repairing Service. Because of their effectiveness, seamless finish and reliability, these offered services are hugely acclaimed and recommended. Also, our ability to alter these as per our clients' needs makes us a popular market name. Vacuum Chamber Repairing Service is provided by us and executed by our hard working professionals. We are a most trusted name among the topmost companies in this business, involved in rendering Vacuum Pump Repairing Service.